I have a new guide for iOS 7. I wrote this guide to share with you how I setup Net10 Wireless Access Point Name or APN for Data and MMS Picture Messaging to work on my iPhone 5. The guide should work for any iPhone 3GS, iPhone 4, iPhone 4s, or iPhone 5 that is running iOS 6. If you have an iPhone running iOS 6 and your Data, your MMS, or neither are working, read on. If your Net10 Data or MMS is not working for some other phone, you can leave a comment on this page. If you are looking for the Net10 network settings or Net10 internet settings or Net10 APN this is the guide for you. If your voice and / or SMS isn’t working, this guide won’t help. You can leave a comment on this page other readers may be able to help. You can use two different methods to configure your iPhone’s APN. Method 1 only configures your data APN, but not MMS. Use Method 1, if you don’t care about picture messaging (MMS). Use Method 2 if you want MMS or Picture Messaging to work. If you have trouble following either method, leave a comment at the bottom and I will try to help you. Read the entire guide and make an give it a try before leaving a comment to ask for help. Follow the Next Page link to begin reading the guide. All these websites keep posting to fill in the APN, but with an AT&T or its prepaid variants’ SIM the APN option is hidden on iPhones. With iOS v10.x.x and higher not even the SIM swap trick works! … It’s frustrating. I’d discussed that point extensively on this site. The very first line of this old article is a link to an update that discusses the problems. Right under UPDATE: 10/8/2013 I have a new guide for iOS 7. There is a lot of information on this site if you just put in a little effort to search for it or politely ask for help. You need to either install an APN profile or let your phone update its carrier bundle to the latest one for your carrier. Which net10 network are you using… AT&T, TMobile or Verizon? I’d have to know what type of phone you have and what problem you are having to answer that. Net10 tmobile? Try this. Setting up Straight Talk Wireless APN for Cellular Data, Internet, MMS Picture Messages on Your iPhone Using iOS 8. It will work for net10 too. “These are the Carrier APN Settings that work for me. Isn’t something missing here? I’m pretty sure there uses to be more and I used whatever it was and that’s how I got it to work. I fixed the article. There was a problem with the publishing system, so it wasn’t displaying the table. I would make two suggestions. 2. If you on the $50 a month plan, your data should be a lot faster if you upgrade to a newer phone. you can find a good deal on used iPhone 5 these days. Also with the latest iPhone software, data works without method 2, so no more SIM swapping. Let me know how it goes getting your phone to work. I am not sure what specific LG phone you are using or where you got it. If you bought it from Ne10 you might be able to use the 30 plan. If it is a Bring your own phone, you won’t be able to. You can verify with net10 support. I switched to net 10 and the Internet works fine by I can not receive mms or group texts. How can I fix this? If you recently signed up for Net10 and transferred your phone number it may take a few days before you can receive MMS picture messages. I had the same issue. I set up three Straight Talk accounts. MMS worked fine for the two with new phone numbers. I could not receive MMS for the third, the one I transferred a number to. I tried the SIM in two different phone and it did not work. After a few days I decided to see if I could try to fix it, only to find it working. You can try Resetting Network Settings on Your iPhone. It might help. See the instructions on page 4. It shows you how to do that. If you are using iOS 7? If your APN is tfdata continue, if it something else let me know. if your APN is tfdata, your phone should just work. if it doesn’t try resetting your network settings. Is your phone an iPhone 3G or 3GS? What version of iOS is installed on the phone? Check it general settings about. What is the model number on the back of the phone? I have a net 10 SIM card in can I leave it in to do all this I’m confused I need step by step if its possible please email me and easier way for me to understand how to do it I just want to be able to send and receive picks that’s the only thing I can’t do thank you ! Read the entire guide. I wrote it to explain what you need to do. I recommend readding it on a computer rather than your phone. It shows you step by step what to do. Which iPhone are you using? Does the phone have iOS 6 or iOS 7. 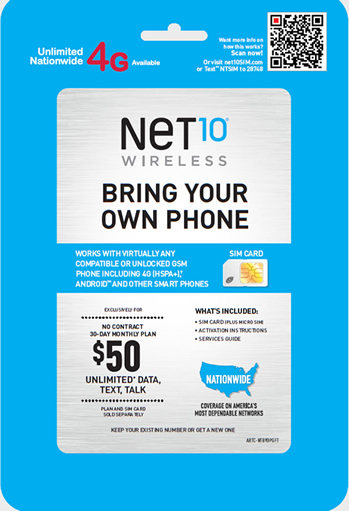 You Net10 SIM is either for the Net10’s ATT or Net10 TMobile network, do you know which. Worked perfect with method 1 and 2. Thank You !!!! I got my phone to work with method 1 but the method 2 wouldn’t work. I have a iphone 3GS and I can’t get the screen to change my apn. I tired over and over. I have data and can text but I can’t get pic messages or send them. Hi Im currently trying to get the APN/MMS to work but I do not have the Cellular Data option in my iphone under step 8a nd 9 what should I do? Did you get a T-Mobile SIM and are you doing the SIM swap? Ok. Which phone are you using? which SIM the Net10 att or Net10 tmobile sim? what version of iOS are you using? what carrier is installed. Look in Settings General About to find out the last two. Is your data slow? Thank you so much. Worked perfect for me, iPhone 4, 6.1.3. Please don’t EVER take this web page down. For some reason I’m fine for a couple of months and then I have to redo this process all over again. This is the third time I’ve done it in a year. Does the T-Mobile sim have to be brand new or can it be a used sim for setting up mms? Thank you!! I have a T-Mobile sim now but I have been unable to get the cellular setting to work. My phone is locked to ATT. Is this possible with a locked phone? I am unable to have it unlocked since I am not the original owner nor have an ATT account. I have looked over the guide and have done everything but reset it with ITunes. I have read over the guide and faqs. Am I missing something? You can still always ask AT&T to unlock it. The worst is they can say is no. If you know the original owner you can ask them to unlock it. If you do the iTunes Restore, it is possible the phone might unlock. I have never done this with a locked iPhone. Many readers swear it works on their locked iPhones. Others don’t seem to be able to get it to work until the unlock their phone. So all I can say is that it seems to work for some people. One reader told me you need to be very fast to get into Cellular Data Network on a locked iPhone, so see if you that helps. If you are using iOS 7 and your APN is tfdata, its possible your phone might work without the SIM swap. Try the iPhone Restore, if you are using iOS6 and want to stay on iOS 6 be carefully not to update to iOS 7. Hi. I just bought 2 at&t iPhone 3’s (Net10 cards and sims for my 11 year olds and when I tried to change the apn it didn’t work. So I went back and tried again and saw the net10 iPhone one. I went to do that one and it said it was not unique. So it wouldn’t allow me to install it. I was getting pretty upset and went and erased the apn settings on the phone. went back and tried the net10 iPhone apn and it allowed install. Please put that people have to erase the old apn settings before trying another 🙂 worked like a charm after that!!! It does say that on Page 3. doesn’t it. Or do you mean someting else? I am not sure what you are asking. Take a look at the guide. Install the APN profile to get data working. Try the SIM swap to set up both data and MMS. The guide shows how to do this. I don’t use jailbroken phones so I am not familiar with the issue about powering off the phone. You can try data and MMS without powering off the phone and see if it works, it might. You can also try the airplane mode trick. After entering the settings. Turn on airplane mode for a minute then turn it off. Then reboot the phone. Some readers swear this works. How are you entering your APN information. Did you SIM swap and go to Cellular Data Network, or get some app from Cydia? FYI: iapnupdatetfdata.net10.com will only set up data, not MMS. Did you read and follow the guide? Thanks for putting all of this together, Bob. I’ve got an iPhone 4 running iOS 6. I am trying to set up MMS using the sim swap method but when I take out my Net10 sim card, it says No Sim until I restart my phone. I can get to the APN settings page but when I put my Net10 sim card back in, it still says No Sim unless I reboot. Then the APN values I manually entered don’t stick and nothing works. Any ideas? I am not sure I follow. When you put in the T-Mobile SIM the display should change from No SIM to Searching to No Service. You should go into Cellular Data Network when the display is showing searching, or is this where the problem is. At first when I put my net10 sim back in it never recognized it unless I rebooted. Tried swapping it a second time and worked like a charm. Thanks again for your help! See the iOS 7 guide if you are using iOS 7. How to Setup Straight Talk Wireless Data and MMS for your iPhone running iOS 7. You need to be quick to do this or a try this little trick. Enter all of the other values needed except the APN. Enter the MMS APN and copy the APN name to the clipboard. If you scroll up carefully to the Cellular data APN you will see the text input cursor is still in the MMS APN. Keep both APNs displayed on the screen at the same time. Now tap the Cellular Data APN and paste the APN name is. Quickly look to make sure that both APNs are right and save the settings. Is that only way to get mms? What if I don’t have a T-mobile sim? I have an iPhone 3gs and get to step 4 and 5 of method 2. Even with my T-Mobile sim inserted I cannot get it to display the cellular data network option. I restarted the phone and it still does not give me the option. Everything is working fine even MMS !! That is awesome. Great news. i tried all of the options for net10 listed and none of them are working. what phone, what SIM and what version of iOS are you running? I have an unlocked iPhone 4S from Sprint. It was working perfectly but since the iOS 7 update I dont have data or even SMS! I have no idea what to do… Can anyone help? Are you using a GPP sim adapter? Or do you have your phone on the Net10 Sprint network? So. I read your entire blog and found it very helpful. Now my question is a very silly one, but I’m really confused. I have an iPhone 4. I want to setup a net10 account and be able to talk and text on this phone. However, I’m not sure what to do. Do I purchase a net10 plan and then follow your procedure, enter my APN values from my purchase, and then it will work? Or do I have to buy a SIM card and a plan and then follow the procedure? I just want to be able to call and text on a pay as you go plan. I’ve been confused about this for a long time and I feel your blog can maybe help me figure this all out. Yes. I can help you. Moving to prepaid is confusing. But you did the right thing by researching it first. I set up this web site to help people figure this all out. I do spend a lot of time helping people who have already switched to Net10 or Straight Talk. So, lets get started with a few simple questions. Your iPhone 4. Is it on AT&T or another carrier? And is your phone on contract? It works!! Method 1 worked fine for me. Iphone 4 unlocked. Thank you so much. Thank you for your help it works!!!! I don’t have the Cellular Data Network page that has that list of settings to change. How do I gain access to it? Did you SIM swap? If you don’t know what that is, read the second half of the guide. Can you send MMS, but not receive. During the last two weeks a lot of people are having that problem. See I Can’t Receive MMS Picture Messages Using Straight Talk or Net10 on My iPhone Using iOS 7.0.4. Follow the steps outlined here, I Can’t Receive MMS Picture Messages Using Straight Talk or Net10 on My iPhone Using iOS 7.0.4 Ten repeat the steps in the guide. Thank you it worked for a iPhone 3GS!! Thanks a millón!! Great news. Glad it worked.